WOW! Women On Writing Blog: Join Us On Pinterest! 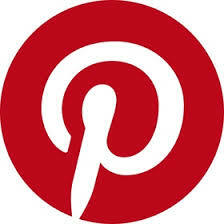 We now have an account on Pinterest (thunderous applause) and we would love for you to follow us! (Okay, so we are begging...) Plus, please tell all your writing friends and reading friends that we are now on Pinterest, too. Click here to follow us. If you haven't clicked on the link yet and you are still wondering: why do I need to follow WOW! on Pinterest? Then I'll tell you. . . So...if you still aren't convinced, then I'll tell you how I've come around to Pinterest, which like all social media can be overwhelming and time consuming. It is all about being choosy when you pin. Let's say, you are a fiction writer. Then you should follow our fiction board. Maybe you also want general writing tips and inspiration, so you follow that too. But you don't have to follow all boards, if that seems overwhelming. On your own Pinterest account, you would have a writing board (or maybe more than one depending on how you want to organize your pins). On this board, only pin things that you think will help you in your career. I think this is where the problem with Pinterest lies. People get PIN happy. They pin recipes they will never use. They pin every cute shirt they see. They pin an article on memoir writing because it's interesting, but they have no plans to ever write a memoir. Then what happens is when they are looking for the fiction article they pinned, they can't find it because the board is full of posts/articles that were interesting, but they will never use. So as a Pinterest user, ask yourself: why am I on Pinterest? What kinds of information will help me accomplish my goals? Maybe you have answers, such as: I want to remember different ways to begin a novel. I want help finding an agent. I want inspirational articles and memes for when I'm feeling down as a writer. Asking yourself this and then organizing your boards and following other writers who pin this type of stuff will help you. The purpose of Pinterest is to save and organize things you see on the web or your friends see on the web, so you can refer to it later and use it again and again. So...don't forget to follow us or at least some of our boards on Pinterest...and let us help you organize useful information for your writing career! Margo--I have a couple of pinterest boards, but I can't figure out how to "follow" WOW. Did you figure it out? When you go to our account and you are signed in to yours (might be easier on a laptop), then there should be a follow button on the screen, which helps you follow WOW!